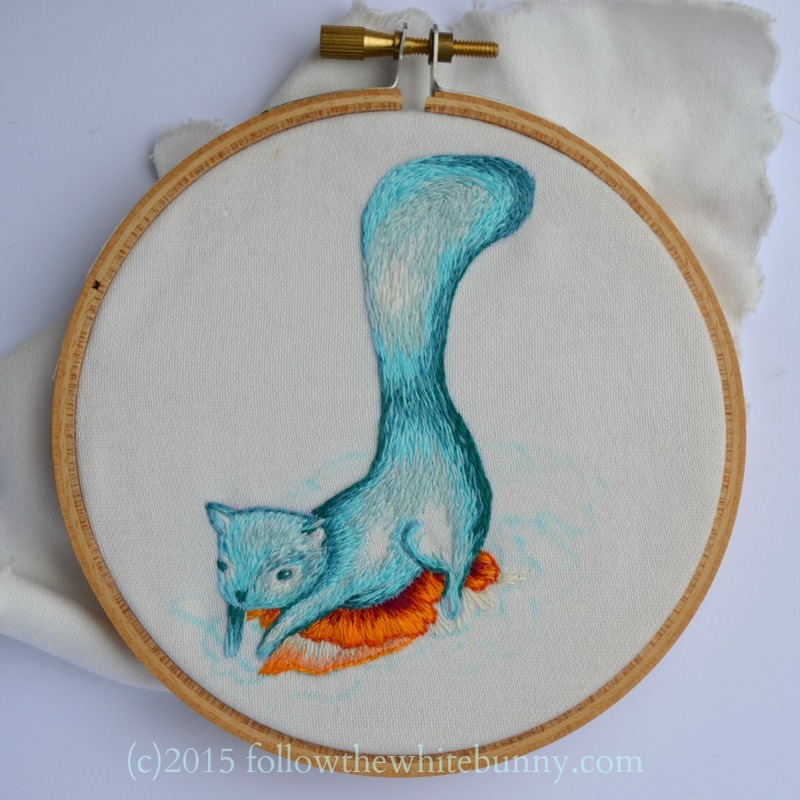 No, my Blue Squirrel isn't on fire or victim of a vicious attack. The orange thing underneath him, is supposed to be some sort of toadstool, something similar to this. The colours are fairly bright and a little out of my comfort zone, but it's good to challenge yourself sometimes. The only regret I have, is that I used just a scrap of fabric to stitch on. It's a bit of a hassle with that tiny hoop... The squirrel is from this retired pattern. Looks very different in blue doesn't it? Love the colors! Your stitching is so beautiful!